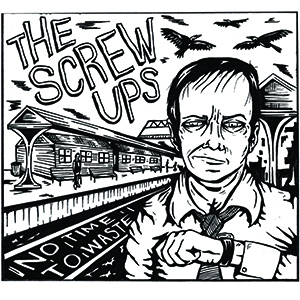 The Screw-Ups are: Julian Wahlberg - Guitar, Vox. Nico Bonvini - Saxophone, Vox. Kyle Kearney - Bass, Vox. Dave Manville - Drums. All Songs written by the Screw-Ups. Recorded, edited, mixed and mastered by King Django at Version City, New Brunswick, NJ. Produced by Nico Bonvini, King Django and the Screw-Ups.